Winner of the 2000 Gold Medal Award in Media Excellence from the International Television Association. 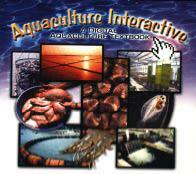 This is an excellent interactive journey of ocean exploration. It is a two CD set. Oeanographers, submersible pilots, coral reef biologists, marine mammalogists join in the exploration of the seas off Florida, Bermuda, Bahamas and the Sargasso Sea. Hundreds of stunning photos, movies, illustrations, maps and sounds will enrich your journey throughout this 2 CD-ROM set. You will join scientists in ongoing investigations of animals as big as whales and as small as plankton and in the study of important oceanic phenomena. 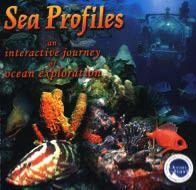 Sea Profiles is an ocean journey ideally suited to captive and challenge the ocean explorer in you. Ideal gift to anyone or any age.